One week to go to Le Mans official test day! In one week the 60 entrants for the 24 Hours of Le Mans 2018, round 2 of the WEC Super Season, will be on track for the 8 hours of official testing available ahead of the race on 16-17 June. 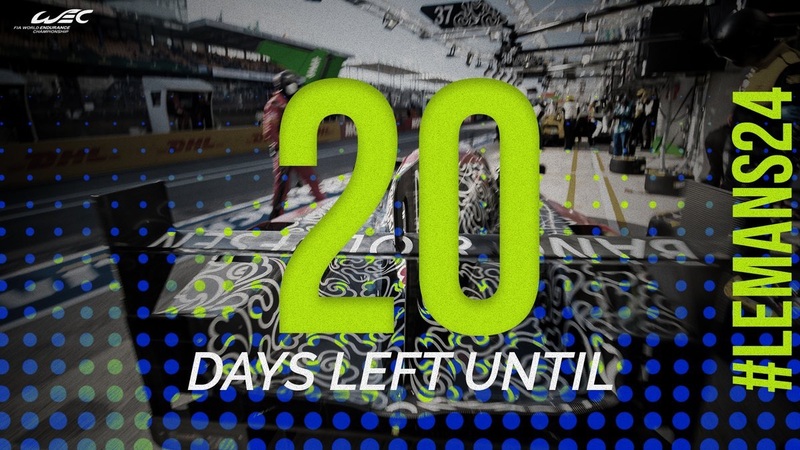 Just 20 days to go until the race itself!